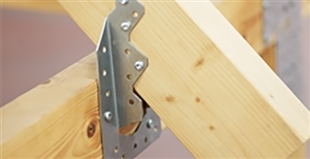 The socket bracket can be used to build simple constructions, such as temporary buildings for covering boats, caravans, bicycle or motorcycles or a simple storage in the garden or even a small summer-house. 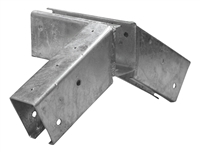 This bracket provides a rigid construction of temporary buildings. 60 °-bracket for transition from the ridge to the roof. The fitting is used to 8-sided buildings, such as gazebos.